Israeli forces have continued to open fire at border areas in the Gaza Strip. 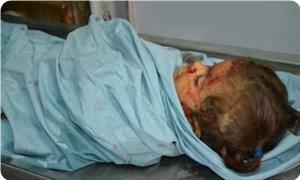 --A Palestinian child was killed in the northern Gaza Strip. --3 civilians were wounded in different shooting incidents. --Israeli forces launched 2 airstrikes on the Gaza Strip, but no casualties were reported. 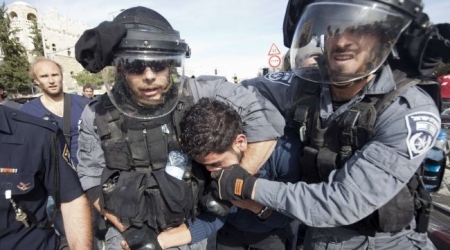 --Israeli forces have continued to use excessive force against peaceful protesters in the West Bank. --A Palestinian child was wounded in Bil'in weekly protest, west of Ramallah. --Israeli forces conducted 71 incursions into Palestinian communities in the West Bank. 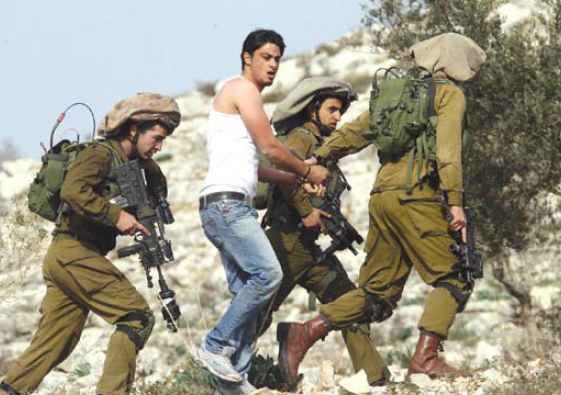 --At least 23 Palestinians, including a child, were arrested. 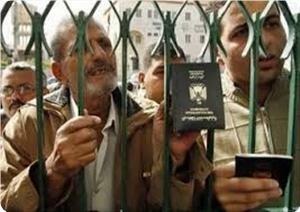 --Israel has continued to impose a total closure on the oPt and has isolated the Gaza Strip from the outside world. --Israeli forces established dozens of checkpoints in the West Bank. --A patient was arrested at Beit Hanoun (Erez) crossing. 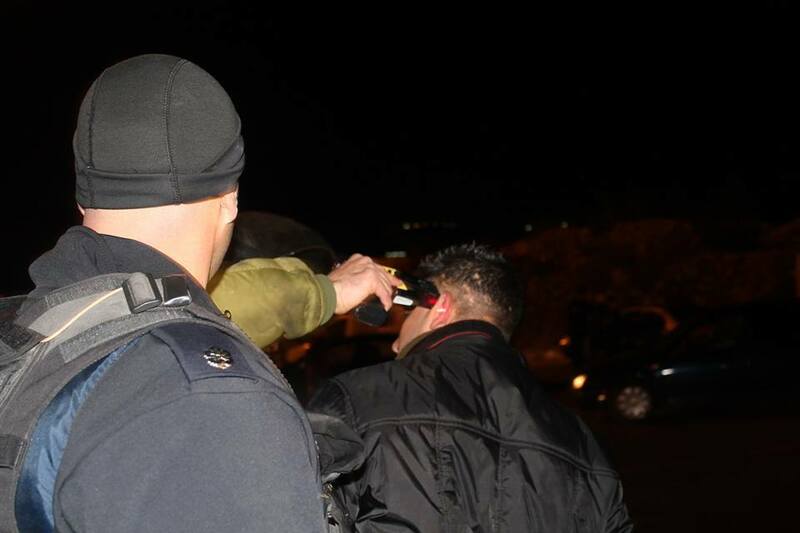 --At least 3 Palestinian civilians were arrested at checkpoints in the West Bank. --Israeli navy forces have continued targeting Palestinian fishermen at sea. --Israeli naval forces opened fire 4 times at Palestinian fishing boats in the northern Gaza Strip, but no casualties were reported. Israeli forces have continued to support settlement activities in the West Bank and Israeli settlers have continued to attack Palestinian civilians and property. A project was initiated to build 272 new settlement units in settlements in the West Bank. --Israeli forces levelled an agricultural area in the centre of Hebron and uprooted 50 almond and grape trees. 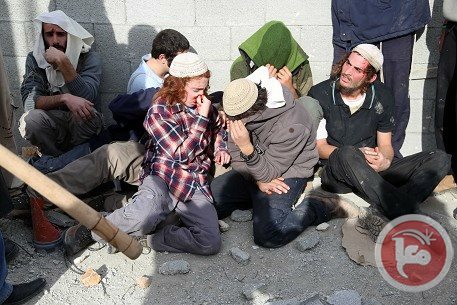 --The settlers continued their attacks against the Palestinian civilians and their property. 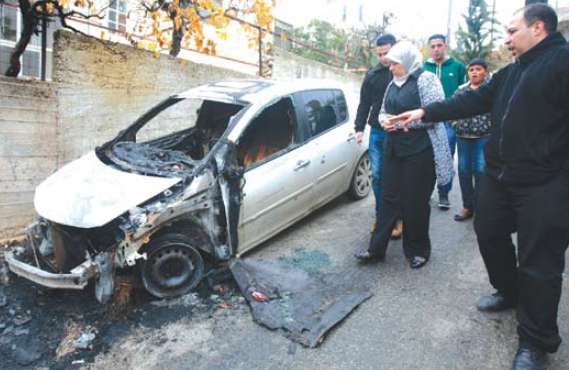 --Fire was set to 2 vehicles in Madama village, south of Nablus. Israeli settlements watchdog Peace Now has urged the government to dismantle an illegal outpost in the West Bank, after violent clashes in the area between settlers and Palestinians. Israel must "enforce the law and remove Esh Kodesh, an illegal West Bank settlement established in violation of Israeli law", Peace Now said in a letter to the government, a copy of which was sent to AFP late on Wednesday. Residents of the outpost in the northern West Bank near Nablus had "repeatedly attacked neighboring Palestinians", it said. On Tuesday, Palestinians beat and detained around a dozen settlers from Esh Kodesh who had entered Qusra village south of Nablus, then released them after negotiating with Israeli soldiers. Qusra is just a few kilometers north of Esh Kodesh and is the scene of frequent clashes between settlers and Palestinians. "Esh Kodesh is an outpost that serves as launching ground for severe unlawful activity, and as such... it creates severe friction that causes harm to people and their property, and therefore heavily burdens the security authorities," Peace Now said. After Tuesday's incident, police placed seven settlers under house arrest until Friday while they investigate why they were in the village in the first place, Israeli police spokesman Micky Rosenfeld said. Peace Now slammed the government for failing to carry out existing demolition orders on many so-called "wildcat" outposts -- settlements which have not been formally approved and are therefore illegal. Under international law, all settlement building in the occupied Palestinian territories is illegal. 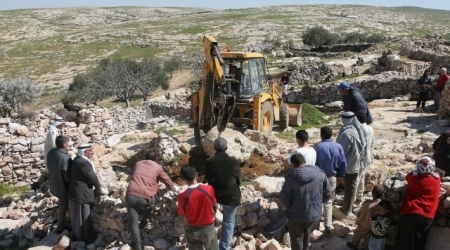 The land research center in Bethlehem said that the Israeli occupation authority (IOA) had seized 14,204 dunums of Palestinian lands in 2013 in the occupied territories of Jerusalem and the West Bank and registered them in the names of Jewish settlers, settlement groups and companies. In a report, the research center stated that the IOA had demolished during last year 371 Palestinian-owned facilities and structures and issued demolition orders against 510 others in addition to the demolition of 246 homes accommodating 1,200 Palestinian citizens, including 650 children. The center noted that the IOA issued demolition orders against 3,131 homes during the reporting year. According to the report, the IOA and its settlers uprooted and destroyed under military protection 19,083 Palestinian-owned fruitful trees in different areas of the West Bank. The IOA had also finished the building of 625 settlement units, approved the construction of 7,000 units and declared plans to build 25,000 others. In a related context, Palestinian specialist in settlement affairs Khaled Ma'ali stated on Sunday that the Israeli commander of the central region Nitzan Alon had given orders to turn the illegal outpost of Brochan into an official settlement under the jurisdiction of the regional settlement council, pointing out that Alon had already declared the building of 550 new housing units in this colony. Ma'ali added that Palestinian famers and eyewitnesses reported that settlement construction is already in the works in this outpost. He noted that the name of this settlement is derived from the Palestinian village Bruqin and the settlers made changes to the real name in order to delude themselves into believing that they have a historical claim on the area. Human Rights Watch (HRW) has slammed Israel for not presenting any evidence in the case of killing two Palestinian teenagers in the West Bank in 2013. In January 2013, Samir Awad was shot three times in the leg, back and head. The 16-year-old was about 250 meters away from his school when he was shot. Also in December 2013 an Israeli soldier shot dead 16-year-old Wajih al-Ramahi in an area between his school and a market. “Twice this year, Israeli soldiers hiding near schools, apparently to make arrests, have killed children who posed no apparent threat,” said Joe Stork, the deputy Middle East and North Africa director at HRW on Sunday. The HRW said there was no justification for the use of live ammunitions in either of the cases. 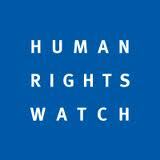 “An attack on a civilian that is carried out intentionally or recklessly is a war crime,” HRW said in a statement on its website. Last week, another Palestinian teenager also died of the wounds he sustained after being shot by Israeli soldiers near the Gaza border. According to Israeli and Palestinian officials, the 16-year-old, identified as Adnan Abu Khater, succumbed to his wounds on January 3 a day after Israeli forces shot him in the leg in the Jabalia city, located four kilometers north of Gaza City. Israel has recently intensified its military operations on the besieged Gaza Strip. The Israeli military frequently targets Palestinians along the border with Gaza, which has remained literally cut off from the outside world by a crippling Israeli blockade since 2007. Israel also frequently bombs the coastal enclave, claiming the attacks are being conducted for defensive purposes. However, disproportionate force is always used, in violation of international law, and civilians are often killed or injured. More than nine thousand Israeli settlers stormed al-Aqsa Mosque during 2013, a Jerusalemite human rights center revealed. In its annual report, Wadi Hilweh Information Center confirmed that Israeli break-ins into al-Aqsa Mosque have noticeably escalated during 2013 in light the Israeli government and Knesset's frequent calls to divide the Mosque between Muslims and Jews as what happened to the Ibrahimi mosque, in addition to the revelation of plots aimed to establish the alleged Temple inside it. During 2013, more than 9,050 Israelis stormed al-Aqsa mosque including ministers, MKs and political figures, and 2,342 soldiers, in addition to 1,876 policemen, according to a documented report by the Islamic Endowment Department in Jerusalem. The report pointed out that September had witnessed the largest number of Israeli intruders, where 1,595 settlers stormed al-Aqsa Mosque during the so-called Yom Kippur festival. The occupation authorities deported during 2013 more than 350 Jerusalemites from al-Aqsa Mosque for different periods starting from one week and up to six months. An economic report said the Israeli authorities closed Karm Abu Salem crossing, the only commercial crossing with the Gaza Strip, on 150 days over 2013, which forms 41% of the total working days. The report is issued Saturday by Chamber of Commerce, Trade, Industry and Agriculture in Gaza, a local organization of businesses and companies. It said the repeated closure of the Karm Abu Salem crossing violates the Egypt-mediated cease-fire agreement signed in November 2012 between the Palestinians and Israel, which followed an eight-day Israeli offensive in Gaza. The agreement included understandings regarding the seven-year blockade of Gaza and the movement of goods through Karm Abu Salem crossing from and into the coastal enclave. Normally Israel keeps the crossing operational for 22 days monthly, closing it on Fridays and Saturdays, while also shut it down on Jewish holidays for ‘security concerns’, the report said. 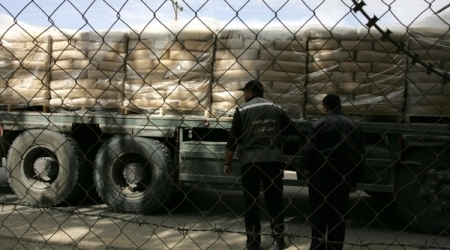 In 2013, the number of cargo trucks entered into Gaza reached 55.833, with a shortage of 1578 compared to 2012, according to the report. Israel only allowed an export of 187 cargo trucks from the Gaza Strip to European markets, compared to 234 trucks in 2012, mostly loaded with agricultural products. On a related vein, the report handled the impacts of the Egyptian military clampdown on smuggling tunnels with Gaza Strip since early July 2013. On this regard, the report said that tunnel closure caused a loss of more than half a billion dollars over the past six months, as a direct result of the full stoppage of some economic activities and decline in production of others, which contributed to a 60% decrease in GDP during that period. The construction sector is one of the most affected by the closure of tunnels, as it employs a significant part of Gaza labor, and depends on the availability of building materials, which the Israeli occupation used to transfer only to the projects funded by the UN in Gaza, the report explained. During the second quarter of 2013, it contributed up to 27% to GDP, equivalent to 135 million dollars, it added. The report said that rate of unemployment in the Gaza Strip exceeded 39% by the end of 2013, increasing to the number of the unemployed to some 140.000 people. The Israeli occupation authority (IOA) last week blocked the travel of 22 Palestinian citizens, via Karame crossing, to Jordan for “security reasons”. The Palestinian crossing police in Jericho said in a statement on Saturday that 17,000 citizens traveled via that crossing in both directions over the past week. It pointed out that the 22 citizens included women and were detained for hours and interrogated at the crossing by the Israeli intelligence. No evidence has been presented by the Israeli authorities that a 15-year-old boy fatally shot in the back by Israeli soldiers near his school on December 9, 2013, posed any threat to life that would justify such a killing. It was the second incident involving the lethal shooting of a child in the back by Israeli forces deployed near a school in 2013. A soldier shot Wajih al-Ramahi in the Jalazone refugee camp, witnesses told Human Rights Watch. The evidence obtained by Human Rights Watch is inconclusive as to whether al-Ramahi, who was shot in an area between the school and a market, had joined Palestinian youths nearby who were throwing stones toward the soldiers, but the soldiers were approximately 200 meters away and not at any risk of being hit by stones, the witnesses said. In January, Israeli forces who had concealed themselves next to a military fence not far from the boys’ school in the village of Budrus fatally shot Samir `Awad, 16, witnesses said. `Awad had entered an open military gate in the Israeli separation barrier. Soldiers appeared and shot `Awad as he tried to run away, witnesses said. 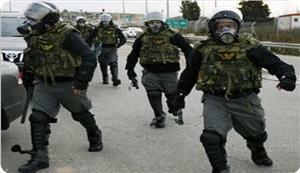 They said that `Awad and other Palestinians in the area had not thrown stones or otherwise threatened the soldiers. The military has not claimed that they did. The military has said it is investigating both killings. In the December 9 incident, a soldier near the Beit El settlement shot al-Ramahi in the back from a distance of around 200 meters, witnesses told Human Rights Watch. The Israeli daily Haaretz reported on December 11 that a “military official” told the newspaper: A squad from the Tzabar Battalion of the [Israel Defense Forces] Givati Brigade was deployed on ambush to apprehend stone-throwers. During the activity [the Palestinians] began throwing stones at the squad and toward Israelis in the area. According to the [internal military after-action] report the squad commander began the procedure for arresting a suspect and shooting was only in the air. According to medical sources and photographs of the body seen by Human Rights Watch, al-Ramahi had a bullet wound in his back and no exit-wound. The lack of an exit-wound is consistent with statements that the bullet was fired from an assault rifle at considerable distance from al-Ramahi. There was no apparent justification for the use of live ammunition, Human Rights Watch said. International standards on the use of firearms in policing situations stipulate that lethal force may be used only as a last resort when strictly necessary to protect life. Should the incident be covered by the laws of war, which are applicable in the occupied West Bank, the shooting would violate the prohibition on targeting civilians, so long as the individual was not actively participating in hostilities. An attack on a civilian that is carried out intentionally or recklessly is a war crime. In the January incident, a military spokesman, Capt. Eytan Buchman, said troops had followed “standard rules of engagement, which included live fire,” Haaretz reported on the day of the incident. The Israeli military said it was investigating the incident, which news reports said involved soldiers from the Armored Corps. Witnesses to the January incident told Human Rights Watch that they testified at a military hearing in February, with the assistance of an Israeli rights group, B’Tselem, which also documented the incident and provided the information it collected to the military. In May, the Military Advocate General’s office informed B’Tselem that the Military Police Criminal Investigations Division was conducting further inquiries. A Palestinian doctor who had seen `Awad’s body provided testimony in May, and one of the boys who witnessed the shooting testified at a hearing in December. Israel has indicted only 16 security officials for unlawfully killing Palestinians since September 2000, and convicted only six; the longest jail sentence imposed was for seven months, according to information Yesh Din, an Israeli rights group, obtained from the military. For descriptions of the two cases, please see below. Two boys from the Jalazone refugee camp, ages 15 and 16, told Human Rights Watch that on the afternoon of December 9, they, al-Ramahi, and three other teenagers were playing soccer in the courtyard of the United Nations Relief and Works Agency (UNRWA) school in Jalazone. The boys, like other residents and witnesses whom Human Rights Watch interviewed, asked not to be identified. At around 3 p.m., the two boys said they and al-Ramahi left the school and walked along a main road toward a mini-market, about 150 meters north. The two boys said they saw four soldiers on a hillside outside the perimeter fence of the Beit El settlement, approximately 200 meters away. The boys and other witnesses told Human Rights Watch that no other soldiers, military vehicles, or settlers were in the area. Two other Jalazone residents who were at the mini-market said that a group of boys and young men from the refugee camp had gathered along the main road, and beside it in an open area of rubble and crushed stone between the school and the market. Some of the group in the open area threw stones toward the Israeli soldiers, the two residents said. Human Rights Watch could not determine based on these interviews whether al-Ramahi was among those who threw stones. The military has not claimed that any soldiers were wounded by stones. The two residents and another witness said they heard multiple gunshots before al-Ramahi was shot, but were not aware that anyone other than al-Ramahi was harmed. “The soldiers used to shoot tear gas and sound bombs [flash-bang grenades] here,” a 29-year-old resident said, but he said he heard only gunshots that afternoon. Then they stopped, so I went to see what happened. I saw Wajih lying on the ground, near the mini-market. The soldiers were far away so I went to check on him, but they fired again so I crouched down to get close to him. The soldiers were close to the settlement, outside it near a guard tower [approximately 200 meters away] and were shooting toward us, maybe 4 or 5 shots. I and a friend got him and carried him to the street. It took a few minutes for us to get a car to stop and take him. He died in my hands before we got to the hospital. A medical source knowledgeable about the details of al-Ramahi’s death told Human Rights Watch that al-Ramahi was admitted to the Ramallah Medical Center at 4:48 p.m., and doctors pronounced him dead at 5:15 p.m. after unsuccessfully performing CPR. The medical source said al-Ramahi had one entry wound from a gunshot below his left scapula, significant internal bleeding in his chest, and no exit wound. Human Rights Watch viewed photographs of the wound. The Israeli military informed B’Tselem on December 15 that it would conduct a criminal investigation into the case. In a separate incident in the same area near Jalazone, a 16-year-old boy told Human Rights Watch that on October 1, an Israeli soldier shot him from point-blank range in the thigh with live ammunition during a confrontation involving soldiers. The soldiers fired tear gas and rubber bullets at youths from the refugee camp, who threw stones at them, between the school and the mini-market. The boy said that he and a soldier were shouting insults at one another when a second soldier, whom he had not seen, stepped up beside him and shot him, then arrested him. Human Rights Watch observed scars on the boy’s leg and X-rays that he and his father said were from the bullet, which appeared to have entered his left inner thigh and exited above the left knee, breaking his femur. “The soldiers put a plastic zip-tie on my wrists and blindfolded me and took me to Beit El and left me there for an hour,” the boy said. “Then I was taken to Qalandiya checkpoint, where they left me for 45 minutes before a [Palestinian] ambulance came to take me to Ramallah hospital.” During the same incident, soldiers shot and injured an 18-year-old man and then a 30-year-old man who attempted to carry the younger man away from the scene, the boy said. The open area where `Awad, 16, was shot slopes downhill from the school, where he was in 11th grade. About 250 meters from the school, a series of military structures form part of the Israeli separation barrier, which was built on the village’s land in the area: coils of barbed wire, then a military fence with a gate, then a second higher fence, and beyond that, a military road. The boys who were with `Awad at the time told Human Rights Watch that the three of them and two other schoolboys walked toward the fences after they had finished their final exams before holidays. `Awad, who was wearing jeans and a yellow hoodie, had just completed a science exam, they said. We saw the gate was open, and we got excited, we decided to go through it. It’s a grey gate. We crossed the barbed wire coils and [two boys] went through the gate, first [a 13-year-old], then Samir, and then there were soldiers who had been lying in the ditch, four on the left and two on the right [of the gate]. They stood up and said, “Stop.” The others ran back toward the village, and the soldiers fired in the air, two or three times. Samir got scared and ran the wrong way through the gate. He tried to climb the [second] fence and one the four soldiers from the left-hand side shot him in the leg. He fell, got up, and came back through the gate toward the village. Another soldier grabbed him by the shoulder, but he got past and tried to run away toward the village. He was limping. One of [the soldiers] threw a sound bomb [flash-bang grenade], and then another soldier shot him in the back and the head. The boys said that they and the other children were not carrying anything in their hands and were not throwing rocks. After `Awad was shot in the back, the boys said, several soldiers approached him. “One soldier started slapping him because he was unconscious, and then did CPR on him, and tore up an undershirt to bandage him,” the 15-year-old said. Palestinian medical records obtained by B’Tselem confirmed that `Awad had been shot three times, in the leg, the back of the chest, and the back of the head. `Awad’s younger brother, Mahmud, 9, ran to tell his parents about the shooting, his father, Ahmad, 47, told Human Rights Watch. “At first we weren’t scared when Mahmud said he was shot because we assumed it must be rubber bullets,” Ahmad `Awad said. 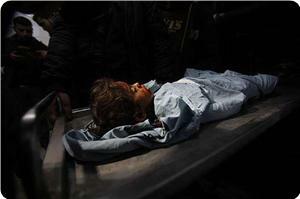 Budrus residents said that the Israeli forces refused to allow them to retrieve `Awad’s body for several minutes. A neighbor in his 30s told Human Rights Watch: “The soldiers kept saying ‘go back, go back.’ Finally I ignored them and walked up to his body and took him.” `Awad’s father said his son was driven to the nearby village of Na’alin, where an ambulance picked him up and drove him to Ramallah, 35 kilometers away. Budrus residents said that the military informed them that it would hear witness statements at a hearing on January 29 in the Beit El settlement, near Ramallah. Two witnesses from Budrus went to Beit El for the hearing, but military officials told them the hearing would be held in the Geva Binyamin settlement, a few kilometers south. The witnesses drove to Geva Binyamin, where military officials repeatedly told them to wait, then told them the hearing would be at Beit El after all. Beit El officials then postponed the hearing until February 4. The witnesses attended and presented their evidence. 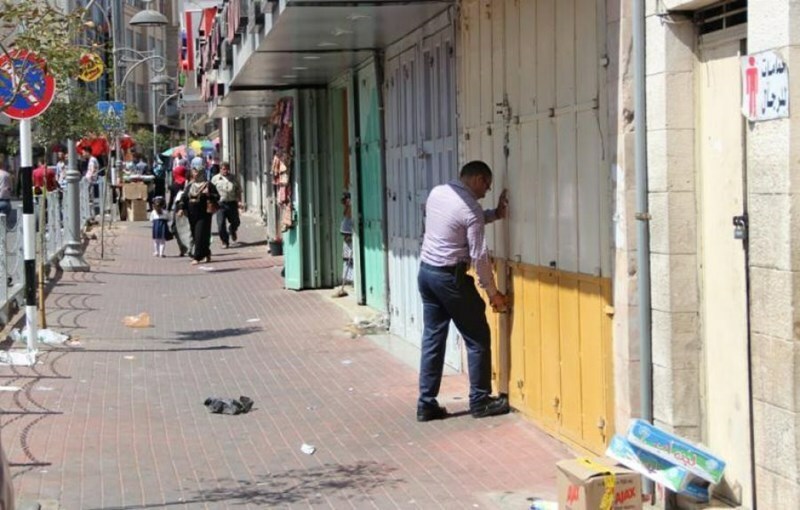 The Military Advocate General’s office informed B’Tselem on April 23 that it was evaluating the investigation conducted into the incident by the military police. On May 13, the office informed B’Tselem that the military police had re-opened the investigation and were conducting further inquiries. In May, a Palestinian doctor who had seen `Awad’s body testified to the Israeli military, and on December 24, one of the boys who witnessed the incident testified again, according to B’Tselem. Human Rights Watch (HRW) has urged Israel to stop the forced eviction of Palestinians from their homes in the occupied lands, calling the move discriminatory, illegal and a war crime. The rights body said that the Israeli military is illegally forcing 23 Palestinians, including 15 children, from three families to leave their homes near a West Bank settlement. but also a grave breach of Israel’s obligations as the occupying power, and a war crime,” HRW said in a statement on Friday. “Israel’s military is ushering in 2014 by forcing more Palestinian families out of their homes,” said Sarah Leah Whitson, Middle East and North Africa director at Human Rights Watch. In 2013, Israel forcibly displaced more than 1,100 Palestinians from the West Bank and demolished their homes. Although Israeli law considers racial incitement illegal, the Israeli media consistently provides a platform for extremists who commit racial incitement against groups that Israelis perceive as an "enemy," especially the Palestinian people. Based on the results of monitoring the mainstream Israeli media (secular and religious), conducted over two years, this article addresses the most prominent cases of racial incitement against Arabs and Muslims, justified by biblical texts and fake historical facts. Every day, the Israeli public is exposed to ideas in the media which influence their perceptions of Arabs and Muslims and solidify existing negative views. The trend of viewing the conflict through a religious lens revives, reproduces and distributes religious myths of a perpetual conflict between two sides: one symbolizes "good" and the other "evil". The superior side faces an enemy haunted by inferiority, motivated by envy and jealousy, and driven by a deep wish for revenge. Explaining political and sometimes tragic incidents in such terms has become part of the Israeli political culture, as expressed in the following quote: "Incapability, frustration, and a sub-conscious sense of inferiority towards Jews have deeply affected all Muslims, turning them slowly into maniacs. It is the war of Ismail against Isaac. It is a war until the elimination of the last Jew" (Yaakov Schoenfeld, published on March 30, 2012 in Hamodia, defined as "the daily newspaper of Torah Jewry"). In an article by Ariel Kahana, published in a newspaper called Makor Rishon on March 14, 2011, we read: "This is what history has shown us, Murder is an innate feature of the Arab people, at least since their path crossed with the path of the Jewish people. This is their character. Jews behave according to 'one hand raises the message and the other works', the Arabs react out of 'will be a brutal man'. This is their character, these are their traits". Many authors call the Arabs "Ismaelites" when they want to express contempt, as we see in an article by Avi Bentov: "So, these are the Ismaelites, the brutal, the bloodthirsty, worse than animals of a forest, some who eat and some who get eaten. One animal kills the other when it is hungry and also to feed its offspring. Animals don't kill humans without reason, but Arabs do, as they live on the ruins of their victims, the knife in their left hand. They are stupid, and their hands are soiled with the blood of our beloved" (published on the Kikar Hashabat website on March 27, 2011). Another article by A. Yizhaki, responding to the assassination of the Arab-Jewish movie director Juliano Mer-Kamis in Jenin, stated: "In recent years, the director Juliano Mer-Khamis met his calling in the Jenin refugee camp. He went to live there and worked to develop Palestinian 'culture,' believing it is possible to 'educate' the descendants of people the Torah describes as 'wild.' Reactions from leftist Jews prove that they do not know the truth about the character of their subjects in Ismail's camp. The Palestinian culture of killing, or generally speaking, the Arab culture of killing, strikes very deep. It is so deeply rooted that the Israeli left is not capable of perceiving it as a serious matter" (published in Yated Nee'man on November 4, 2011). Racism and incitement in the Israeli media are not only directed towards Arabs but also at Muslims. The Israeli media demonizes Islam, falsifies historical facts, and takes verses from the Qur'an out of context. On March 22, 2012, the newspaper Hamodia published an article by M. Shalom, saying: "The world knows how to shut up and ignore when the Jews in Israel defend themselves against those products of Islam, the brutal anti-Semites with their insatiable hunger for terror. Worse still, this world condemns the Jews when so-called 'innocents' get killed and the Jews are trying to defend themselves." Another report in the same newspaper says: "Islamic terrorists are running a global war. Throughout our painful, bloody history, Jewish children were at the top of the killers' list. Today Arabs and Muslim carry the cross of this bloody campaign". A website called "News1" published an article by Yehuda Drori on January 29, 2012, describing Islam as the "devil's religion." 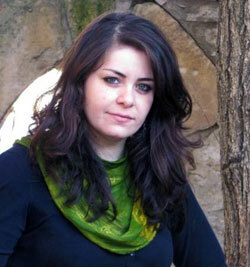 Drori wrote: "Some people might disagree with my view of Islam as a violent, bloody religion. In order to read about a loving and peaceful Islam, those who disagree have to look towards tolerant academics living in the West, but we know Islam better than them! I can understand how difficult it is for a leftist to adjust his attitude and accept the awful truth: There are no 'good' Muslims. The only goal for Arabs, here at least, is to eliminate us. They constantly promote this idea in their media with non-stop incitement against us. Islam is the devil's religion". The theory of a "super race" descending from Isaac - as opposed to an "inferior race" descending from Ismail - is usually accompanied by the theory of the Jews as "God's chosen people" and their religious superiority over the "gentiles." Numerous Israeli writers are convinced that Jews are a "chosen people," superior to non-Jews religiously and culturally. In Yesrael Hayom on October 19, 2011, Reuven Barco confirms the racial superiority of Jews over Arabs - the latter of whom he calls "the strain of Hagar the slave" - and the religious superiority of the "chosen people". He writes: "the Palestinian prisoners go on a hunger strike with an incredible sense of insolence; they demand rights to welfare, education, food, visits from family members, and watching media. This proves that somewhere in the back of the Palestinian's brain is an implicit recognition of Jewish superiority. They are right; there is a substantial difference between the Jews and the Palestinian Islamists. We are not only talking about Jewish accomplishments in science and the Nobel Prizes won by the chosen people; we are basically talking about Jews who value life compared to the death industry produced by the Islamists". The Israeli media carelessly express extremely racist insults towards Islamic culture, and won't allow facts to melt their entrenched stereotypes. One example is found in Yated Nee'man on March 26, 2012: "As a rule, the Islamic culture thoroughly suppresses citizens' rights wherever they live. It is a culture of terror, racism, humiliation and suppression. Whoever tries to speak up is immediately decapitated". In the editorial of the same newspaper, on March 25, 2012, we read: "It is also true that many immigrant Muslims have managed to integrate into their new countries, but those who cling to an ideology that wishes to conquer the whole world and put it under the shoes of Mohammad's destructive religion, are definitely not a minority". It is considered "racist" to oppose occupation and demand that Israel withdraw from the occupied territories. On December 15, 2010, Professor Hillel Weis wrote in the religious newspaper Makor Rishoan that "Islam turned out to be a boot trampling on Europe. European leaders demand that Israel evacuate form Jerusalem. That's racism! Those who invented the term 'racism' have adopted it." On June 22, 2012, Yaakov Schoenfeld published an article in Hamodia in which he says, "This animal-like thirst for blood drives Muslims crazy. It seems that Muslims are frustrated, attempting suicide and taking the whole world down with them. It seems that history has never witnessed the sort of madness that Islam is exhibiting, as a religion of killing and destruction". Racial incitement is not absent from the secular Israeli media. As we pointed out earlier by referring to the "News1" website, we now look to Ha'aretz, a paper known for its liberal and leftist views. In an article published on March 17, 2012, the journalist Yisrael Harel wrote: "Those who believe that peace is possible and that the Palestinians are partners should be the first to tell the truth about Palestinian incitement. It's not possible to prove a direct relationship between the killings in Itamar and daily incitement. The reasons are deeper. Over the years whole villages have been slaughtered in Algeria - about 300,000 victims - and thousands of infant throats slit. In Darfur, Lebanon, Syria, Iraq, and elsewhere in the Muslim world, people have been massacred. These killings are the outcome of a murderous character, not the incitement led to them". Severe cases of racism also exist, such as the words of the right-wing radio broadcaster Avery Gila'ad. On June 12, 2012 he said: "we don't want to forget that those who are knocking on our doors are followers of Islam, and that Islam is a disease rampant in the world. The fact that Islam dominates the world and we see it everywhere, and in light of Muslims' wish to impose their thoughts and beliefs, we must be careful in managing our lives". (From Gila'ad's program "The Last Word," broadcasted on Galle Zahal, the radio of the Israeli army). Following this incident, which aroused much anger, protesters took to the streets, and a complaint was filed with to the government attorney general. Unfortunately, as usual, none of these actions resulted in any changes. 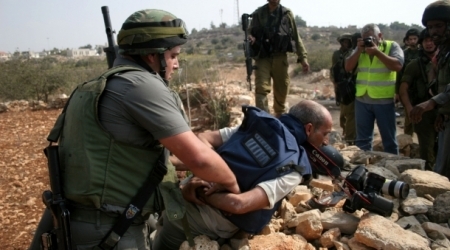 It seems that the Israeli media holds a world view which divides humanity into two parts. The first is the Jews, the descendants of Isaac - who are considered superior religiously and ethnically - and the second part comprises the "terrorist" Muslims and the "brutal" Arabs, the descendants of Ismail. This supposed "religious-ethnic superiority" is merely an attempt to legitimize the Israeli occupation and the crimes committed against the Palestinian people. Legitimization occurs by dehumanizing and demonizing the "enemy." Those who emphasize a demonic image of Islam are attempting to justify the Western wars against Muslim and Arab countries under the pretext of battling the so-called "global Islamic jihad." Thus while reading an Israeli newspaper, it is common to find a piece of racial incitement against Arabs and Muslims, and below it, another piece criticizing alleged racism and anti-Semitism among the same Arabs and Muslims who are exposed to systematic racial incitement. In its Weekly Report On Israeli Human Rights Violations in the Occupied Palestinian Territories for the week of 26 Dec. 2013 - 01 Jan. 2014, the Palestinian Center for Human Rights (PCHR) found that an elderly Palestinian man died due to tear gas inhalation in Kofur Qaddoum village, northeast of Qalqilia, and a second elderly Palestinian man died as Israeli forces hindered his passage at a military checkpoint at the entrance of Ya'bad village, southwest of Jenin. Israeli forces have continued to use excessive force against peaceful protesters in the West Bank. 8 demonstrators were wounded in Bil'in, an-Nabi Saleh and Selwad weekly protests in Ramallah. Of the wounded were 3 children, 2 women and 2 photojournalists. A child was wounded in Ayda refugee camp, north of Bethlehem. Israeli forces launched 2 airstrikes on the Gaza Strip, but no casualties were reported. During the reporting period, an elderly Palestinian man from Kofur Qaddoum, northeast of Qalqilia, died due to tear gas inhalation when Israeli forces moved into the village and fired tear gas canisters. In addition, another elderly passed away in Jenin when Israeli forces stationed at a military checkpoint at the entrance of Ya'bad village, southwest of Jenin, hindered his passage to a hospital in the city. 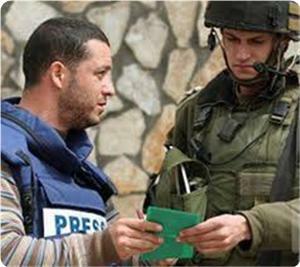 Also during the reporting period, Israeli forces wounded 9 Palestinian civilians, including 4 children, 2 women and 2 photojournalists, 8 of whom were wounded during peaceful protests, while the 9th was wounded during a protest organized at the northern entrance of Ayda refugee camp, north of Bethlehem, but he did not participate in the protest. On 26 December 2013, Israeli forces stationed on top of a building around the Ibrahimi Mosque fired 2 tear gas canisters at a house belonging to "Mohammed Jaber" Abdul Salam al-Karaki (67) in Qaitoun neighbourhood. As a result, contents of the house were burnt and 4 members of the family suffered severe tear gas inhalation. It should be noted that no clashes between Israeli forces and Palestinians were reported at the time. Ashraf "Mohammed Jaber" al-Karaki said to a PCHR fieldworker: "I live in Qaitoun neighbourhood, south of the Ibrahimi mosque in the southern Hebron, in a house that is about 120 meters to the north of my father's house, which is 100 meters away from Abu al-Reesh checkpoint. Israeli forces were deployed on top of buildings around the checkpoint where they erected observation sites there. My family's 2-storey house shelters my father (67), my mother Hayat (54), and 2 brothers Hotheifa (22) and Basel (26). At approximately 09:30 on Thursday, 26 December 2013, I headed to my father's house to have coffee with them as usual and then go to my work in a grocery. I entered the house and sat on a sofa overlooking the balcony, where my grandmother was. My brother Basel brought the coffee to me and then to my grandmother. In the meantime, I looked at the balcony's glass that was broken. A tear gas canister fell near my mother and the gas spread quickly, so I started screaming ‘gas, gas’. I went out with my father, mother and siblings. My mother could not breathe because she inhaled the gas directly. I could not breathe well either. I went to my mother because her health condition was bad and she was lying on the stairs. I went with my family to my uncle Mohammed Khader’s house which is in front of my father's. A few minutes later, my uncle, father and I went out and saw white smoke going out of the house then it turned into black. The windows were being broken, so we realized that the house caught fire. I called the civil defence and emergency services that reached the area 3 minutes later. They put out fire. The civil defence members found another tear gas canister inside the house, but it had not exploded. When we entered the house, we found everything was burnt. In addition, JD 1,800, NIS 900 and a cheque were burnt and a gold ring was missing. In the meanwhile, Israeli soldiers were around. My uncle talked to an Israeli officer, who said, ‘Go to Ja'bara police station and file a complaint.’ It should be noted that Israeli soldiers fire sound bombs and tear gas canisters at students going to their schools on daily basis. My mother was taken to the Health Work Committees' centre and received the necessary medical treatment, as she suffered from hypertension. I also received medical treatment due to gas inhalation. My mother went home an hour later. My father and brothers have no place to go, as I live in a small rented house. Moreover, we have not received aid at all." On 31 December 2013, a 14-year-old child from Ayda refugee camp, north of Bethlehem, was wounded by a rubber-coated metal bullet to the right leg while he was playing around. He was taken to Beit Jala Hospital, where his wound was described as moderate. The contents of a house in the old town of Hebron were completely burnt as a tear gas canister fell inside. On 26 December 2013, Israeli forces levelled lands in Ras ‘Attiyah village, south of Qalqilya. On 27 December 2013, an Israeli Infantry force moved into the farmlands surrounding Um al-Kheir area, east of Yatta and adjacent to “Avigal” settlement established on al-Hathaline family lands. They deployed in the area and denied civilians access to their lands and prevented them to approach the water wells used by civilians in the area to provide them with water by attacking some of them. On the same day, Israeli forces, backed with two military vehicles and accompanied with a vehicle belonging to the Israeli Civil Administration (the construction and organization department), moved into Um al-Kheir area, east of Yatta, south of Hebron. They deployed between the houses. The Civil Administration officer informed civilians not to approach the taboon oven and light it up under the claim that its smoke affects the settlers’ houses in “Kermaeil” settlement near the civilian houses. On 30 December 2013, Israeli forces, backed with military vehicles and bulldozers, moved into Dotan camp, which was previously evacuated, southwest of Jenin. They levelled the camp lands without stating the reasons. In the Gaza Strip, Israeli forces launched 2 airstrikes, opened fire at the east of Jabalia, in the northern Gaza Strip, and opened fire also at Palestinian fishing boats, but no casualties were reported. On Thursday, 26 December 2013, at approximately 22:25, an Israeli warplane launched a missile at an agricultural land belonging to Muqat family to the east of al-Nafaq Street in the north of Gaza City. However, no casualties were reported. The same night, at approximately 22:30, an Israeli warplane launched a missile at Bader military training site belonging to al-Qassam Brigades (the armed wing of Hamas movement) near al-Shuhada' intersection, south of Gaza City. However, no casualties were reported. A child from Deir Istiya village, northwest of Salfit, was run down by a settler's vehicle. On 26 December 2013, while a settler was driving near the intersection of Deir Istiya village, northwest of Salfit, he ran down Ibrahim Yaser Yaser Hatem Abu Zaid (7) from Deir Istiya village. As a result, he was seriously injured. On 27 December 2013, a number of settlers from “Havat Jal” settlement outpost established on Palestinian lands, east of Hebron, cut down 12 olive trees, which is older than 30 years, by a chainsaw and smashed branches of another 30 trees belonging to Rashid al-Zaro al-Tamimi (56). On 28 December 2013, a group of settlers from “Karmi Tsour” settlement established on Palestinian lands, east of Hebron in Haskah area, east of Halhoul. They performed religious rituals near water springs in the area under the Israeli forces’ heavy guard. Israeli forces continued the systematic use of excessive force against peaceful protests organised by Palestinian, Israeli and international activists against the construction of the annexation wall and settlement activities in the West. As a result, 8 protestors, including 3 children, 2 women and 2 photojournalists, were wounded. In spite of the cold weather, following the Friday Prayer, 27 December 2013, dozens of Palestinian civilians and international and Israeli human rights defenders organised a peaceful demonstration in Bil’in, west of Ramallah, in protest at the construction of the annexation wall and settlement activities, supporting the al-Aqsa mosque and the Islamic and Christian religious sites. Demonstrators took the streets raising the Palestinian flags and headed to the liberated territories near the annexation wall. Israeli forces had closed all the entrances of the village since morning to prevent the Palestinian and international activists and journalists from participating in the demonstration. Demonstrators marched adjacent to the cement wall and tried to cross the fence before Israeli forces that are stationed behind the wall, in the western area, and a large number of soldiers deployed along it fired live bullets, tear gas canisters, rubber-coated steel bullets, sound bombs and skunk water at them and chased them in olive fields. As a result, a 20-year-old civilian sustained a bullet wound to the right hand. Moreover, dozens of demonstrators suffered tear gas inhalation. And others sustained bruises as they were beaten up by Israeli soldiers. On the same day, dozens of Palestinian civilians organised a peaceful demonstration in the center of Ni’lin village, west of Ramallah, in protest at the construction of the annexation wall and settlement activities. Demonstrators took the streets and headed to the annexation wall. Israeli forces closed the gates of the wall with barbwires and prevented the demonstrators from passing to the land behind it before they responded by throwing stones. Around the same time, dozens of Palestinian civilians and Israeli and international human rights defenders organised a peaceful demonstration, in protest at the construction of the annexation wall and settlement activities, in Nabi Saleh village, southwest of Ramallah. Demonstrators took the streets raising the Palestinian flags and chanting slogans against the occupation and in support of the Palestinian unity resistance, and then they headed to the lands that the settlers are trying to rob by force near “Halmish” settlement. Israeli forces closed all the entrances of the village since morning to prevent the Palestinian and international activists and journalists from participating in the demonstration. When they arrived at the land, demonstrators were met by live bullets, tear gas canisters, rubber-coated steel bullets, sound bombs and skunk water and were chased into the village. As a result, 4 civilians, including 2 women and 2 photojournalists, were wounded, and many civilians suffered tear gas inhalation and bruises due to being beaten up by Israeli soldiers. A 40-year-old woman sustained 3 rubber-coated metal bullet wounds to the legs and the 37-old-year woman sustained a bullet wound to the left leg. Following the Friday prayer, dozens of Palestinian civilians and international and Israeli human rights defenders organised a peaceful demonstration in Ma’assara village, in protest at the construction of the annexation wall and settlement activities. The demonstration started in front of the Candles Cultural Centre in the centre of the village. Demonstrators moved in the streets raising the Palestinian flag. When they arrived at the area where the annexation wall is established, Israeli forces started firing tear gas canisters in attempt to disperse them and prevented them reaching the annexation wall. They also detained a 33-year old activist for 2 hours. As a result, a number of civilians suffered tear gas inhalation. Israeli forces also put Morad Ishtiwi, coordinator of the popular committee, under house arrest on Fridays. Ishtiwi was abducted on 20 December 2013 and released on 25 December 2013. At approximately 15:00, a group of boys and young men gathered at the western entrance of Silwad village, northeast of Ramallah, on Silwad-Yabroud road near road (60). They threw stones at the said road. In response, Israeli soldiers fired rubber-coated metal bullets, sound bombs and tear gas canisters, due to which a number of civilians suffered tear gas inhalation. 3 children were wounded: A 16-year-old child sustained a bullet wound to the right leg, a 15-year-old child sustained a bullet wound to the right leg and a 16-year-old child sustained a bullet wound to the right leg. PLO issued a press release on Wednesday, saying the Israeli troops killed 56 Palestinians, arrested or detained 4,533 others, and erected 5,214 flying checkpoints throughout the occupied West Bank and East al-Quds (Jerusalem) Press TV reported. PLO also said there was a dramatic rise in the frequency of violations compared to previous years. Paradoxically, the violations escalated during the period of so-called peace talks between the two sides. “During the previous year, the Israelis pushed for more settlement units with (Israeli Prime Minister Benjamin) Netanyahu as the leader. They also gave priority for the expansion of settlements in East al-Quds and the West Bank alongside housing demolitions. The crimes are rapidly escalating,” said Saleh Ra’fat, a member of the executive committee of the PLO. The fresh round of negotiations began in July 2013 to end the decades-long Palestinian-Israeli conflict based on the so-called two-state solution after a three-year hiatus. 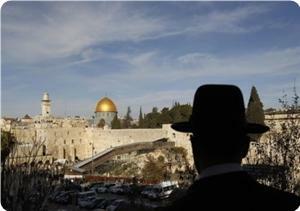 Tel Aviv, however, has refused to return to the 1967 borders and is unwilling to discuss the issue of al-Quds. Even days before the start of the talks Israel announced plans for more than 2,000 new settler units in East al-Quds and the West Bank, which angered Palestinians. Ahrar Center for Prisoners' Studies confirmed in its annual report that 40 Palestinians were killed in occupied West Bank and Gaza Strip during 2013 by Israeli occupation forces. The center's director Fuad Khuffash stated that there are no data discrepancies between his center's annual report and Amnesty and B'Tselem organizations' reports. The two human rights organizations have only documented Palestinian martyrs killed by Israeli fire, while Ahrar center has added the names of Captive Movement's martyrs Ashraf Abu Dra'a, Arafat Jaradat, Maysara Abu Hamdiya, and Hassan al-Turabi who martyred due to Israeli medical negligence policy, he clarified. According to Ahrar's report, 31 Palestinians were killed in occupied West Bank, while nine martyrs have been documented in the besieged Gaza Strip by Israeli fire and shells. Israeli Prison Services (IPS) intensified search operations and break-ins into Palestinian prisoners' sections and rooms during 2013, where they carried out 172 raids during the past year, Palestine Center for Prisoners' Studies said. The center stated in a statement on Wednesday that 42 Palestinian prisoners, including members of Captive Movement's leadership, have sustained injuries during Israeli systematic attacks and raids into their sections. Israeli raids into Palestinian prisoners' rooms are usually accompanied with brutal assaults and attacks on prisoners, in addition to isolating them, confiscating their personal belongings, including their family pictures and letters, and imposing heavy fines as part of IPS punitive policy, the statement said. The center documented a number of Israeli attacks during 2013 targeting Palestinian detained leaders including leader Abdullah Barghouthi who was severely beaten during his hunger strike, in addition to assaulting the prisoners Mahmoud Issa and Salim Ja'aba after declaring hunger strike in solidarity with the isolated prisoner Dirar Abu Sisi. Approximately 11 Palestinian detainees were injured during Israeli break-ins into Ashkelon prison, while 20 others sustained injuries in Megiddo prison during Israeli raids into their rooms following the prisoner Hassan al-Turabi's martyrdom. Palestine Center for Prisoners' Studies said that the Negev prison had witnessed 65 break-ins during 2013. The last Israeli break-in during 2013 was carried out on the 31st of December in Raymond prison, when Palestinian detainees held in section 2 were taken to unknown detention center. Israeli occupation army attacks against unarmed civilians in Gaza Strip killed 12, including two babies, and wounded 152 in the course of 2013, Dr. Ashraf Al-Qudra, the health ministry spokesman, said. He said in a press release on Tuesday that five of those killed were from Khan Younis, south of the Strip, while three were killed in the central region, two in Gaza area, and two north of the Strip. The spokesman pointed out that 44 children and 8 women were among the wounded with the biggest casualties recorded in northern Gaza with 76 wounded. Qudra said that the Israeli occupation forces were deliberately targeting civilians especially fishermen and farmers at work, adding that the IOF strikes do not differentiate between old and young in total disregard to international conventions and norms.